With my new-found Star Wars love I couldn’t help totally jumping on the bandwagon and then buying some merchandise. The stuff I opted for was from Build-A-Bear, you know where they stuff them right in front of you and you can pick everything about them placing sounds inside and plenty of different outfit choices available which also means the price does very quickly increase! I have seen a few times now that Build-A-Bear has had different bears relating to films, you can still pick up the three minions along with a dragon (How to Train Your Dragon) and now you can get Star Wars “bears” which are more expensive than the others at £27 each! But as a special offer linking into the release of The Force Awakens you can pick up two of the Star Wars bears for £30, which seems totally crazy to get a second for £3 more doesn’t it. So obviously Chewie wasn’t the only one I picked up a few days ago. 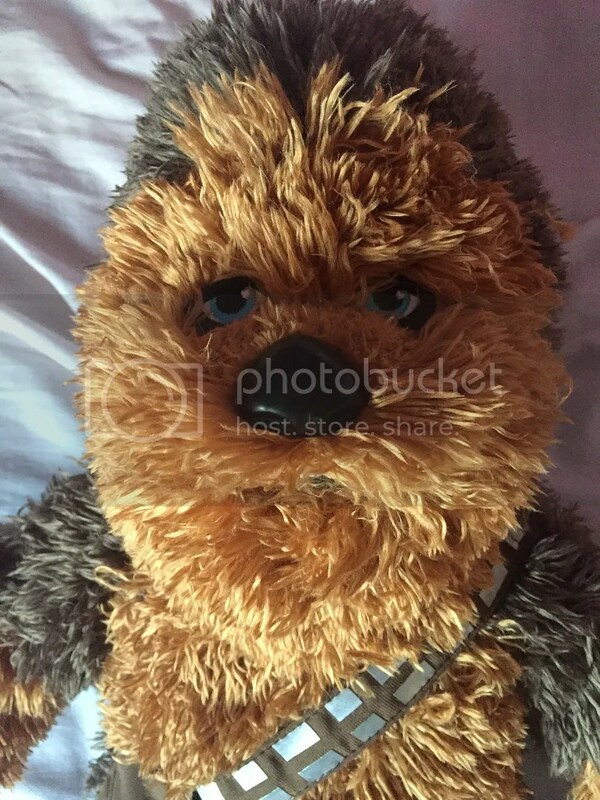 In all fairness though if you have to pick then Chewie must be the top choice, he looks fantastic and is a lot bigger than the normal or other bears! So value for money has to be spot on. Obviously though you have to get his “voice” which is a 5 in 1 noise box placed in his hand. Yes I did get that in him! I thought it would be a very good keepsake from the film and something that may just be worth something in years to come? Probably not but I am very happy with it! As you can see in the below photo he certainly is a very good size! 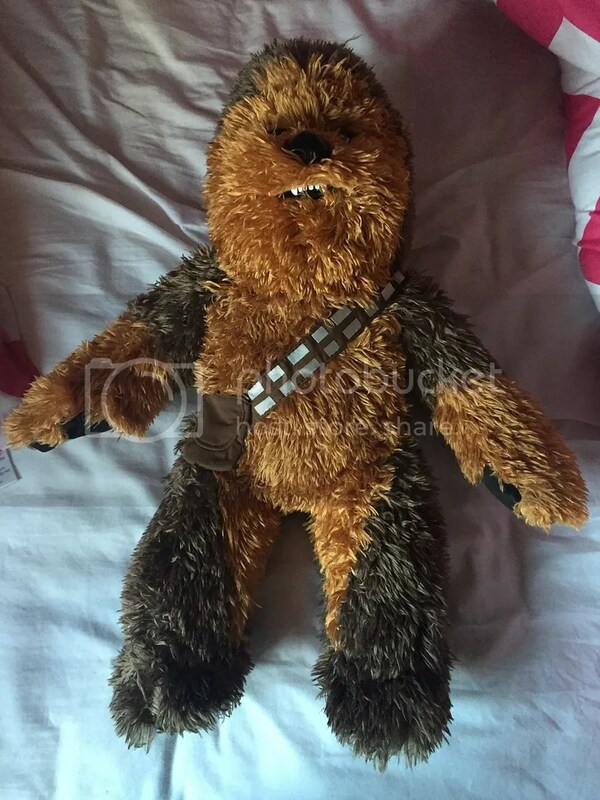 How many of you are now going to rush out and get your very own Chewie? Totally, I’m adding Star Wars to my marathon list. I’ve finished LOTR and need to watch the final Hobbit movie soon so I can round out the trilogy and review the final chapter. Thanks Caz, there’s no rush take your time.